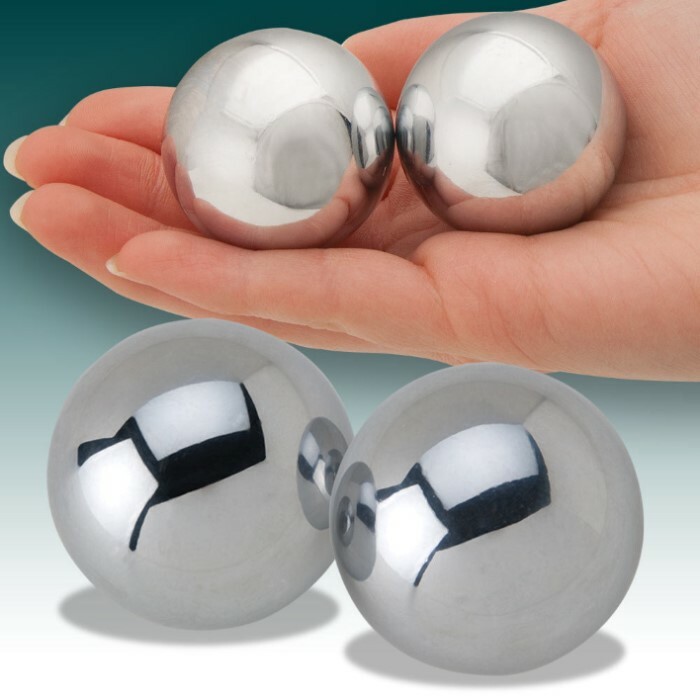 Baoding balls, also called Chinese exercise balls, Chinese meditation balls, Chinese medicine balls, and Healthy Balls, are thought to have been created in Baoding, China, during the Ming dynasty. Baoding balls are a tool for injury recovery or as an exercise tool to improve manual dexterity and strength. They consist of two or more balls which are rotated to orbit in the hand. The iron-ball system is the greatest of Baoding prefecture's "three treasures." Long throughout history, renowned within China and other countries, this is Baoding prefecture's traditional product. This item of Buddhist martial arts was first produced in the Northern Song Dynasty. Whether you wish to explore their use for exercise and meditation, or simply need to complete your samurai sword display, our Baoding balls are a great choice. Includes wooden display and gift box with cloth covering, assorted colors and orient stitching designs.